Catering to the movie buffs pan India, BIGFlix, a movie rental company is a strong player in the franchising arena. In an interview Puneet Sachdeva, Chief Lead- Franchise Operations, Big Flix.com shares the growth, success and company’s future plans of venturing into smaller towns. 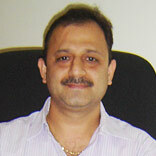 Puneet Sachdeva (PS): BIGFlix.com came into being in August 2007 with the video-on-demand website, and then kick started the rental venture. The initial stages of the rental business had slow growth; the masses did take time to understand the concept of renting out movies. However, an ongoing process of educating the masses about the advantages of the concept of renting movies helped them understand the business. Since then we have been seeing nothing but an overall stable growth of 15-20 per cent in all cities. AG: What motivated you to start an online movie rental company and to take franchise route for expansion? PS: Having identified a huge appetite for watching good original quality movies In India we ventured into this sector. The most prominent reason for us to take up franchise route is our determination of focusing on the brand building and the content aspect of our business. Therefore now the franchisees can take care of the operations of their respective stores and we may invest in the important aspects of the business. AG: Have you faced competition from the unorganised movie rental sector? PS: It is not appropriate to call unorganised brands as our competitors. Reason being that, we have the advantage of an access to the largest and constantly growing base of original and hi-quality content at convenient pricing options. AG: What kind of qualifications and investments are required to be company’s franchise partner? PS: A store franchisee needs to have an area of around 200 - 400 sq.ft (preferably owned) and financial investment in the range of Rs 12 to 15 lakh. The person should be well versed with the demographics of the area and entrepreneurs with exposure to retail or any B-to-C business shall be preferred. AG: What are company’s franchise expansion plans and what has led the company to opt for expansion in tier II and tier III towns? PS: The company has 60 stores in 9 cities and plans to have 150 stores by the end of this fiscal year 2010-11 through the franchisee route. The tier II and III cities like Jaipur, Vadodara, Surat, Lucknow, Nasik, Jamshedpur, Kochi, Patna, Nagpur, Kanpur, Mysore, Jamshedpur, Bhubaneshwar, Muzaffarnagar and Bhopal have the hunger for home entertainment and the options are very few. We would like to establish ourselves in these markets and this is the right time to do so. Moreover the property prices in these cities are reasonable as compared to metros or other tier I towns. This makes the business model more profitable for the franchisee. Moreover we had been getting constant enquiries and registrations on our website from Tier II cities. AG: How many franchisees do you have in India and in which cities? AG: How do you plan to support and train your franchisees? PS: Our three years experience of operations will be utilised to help them set-up the store from project stage to make it more customer friendly and give convenience through well-developed systems and processes. Our vast knowledge on content through DVD’s would help the franchisee get the right stock to cater to customers’ demands. Apart from this our experienced trainers will impart training on various processes like operations, logistics, software, content and soft-skills to the franchisee’s team and will also provide support for local area marketing. AG: What are the challenges of your franchise system and how can these be overcome? PS: Although there are various challenges in this industry, but the biggest challenge the home video industry faces is piracy. To curb this we have focused ourselves on quality content like world cinema, TV series, education and learning based DVDs as the viewer of this content will never compromise on quality and watch only original DVDs.